Four bikes were outside when I arrived for our Saturday morning run. “No one told me that they were riding this morning?” I thought as I walked inside. I noted the four who wore cycling gear as they greeted me, though several others were dressed to run. The others laughed at my outburst (as I had wanted), but I also realized that I had overstated my case and began to apologize. Tim, one of the cyclists, said, “You need to take some time to center yourself.” He was right. Shannon, also a cyclist, apologized that she had sent out the text invite and used an old thread that did not include me and several others. I calmed down and said it was okay, especially since I knew Shannon would not do it intentionally. Shannon is a gracious and generous child of God who gives of her time and energy to help others. She is a physical therapist who opens her workplace early on Sunday mornings so that our group of runners can do strength training as way to avoid injuries. She regularly travels to Haiti on mission trips and feels comfortable praying for our group. I consider her a friend. As the runners and cyclist prepared to leave, Shannon approached me to see if I had a spare shirt. It was cooler than expected outside and she needed another layer. 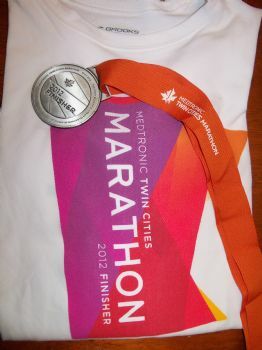 I looked in my running bag and pulled out the only long sleeve shirt I had: my finisher’s shirt from my last marathon. I teased Shannon that she needed to return it freshly laundered. After a short prayer, the group headed out the door, cyclists and runners. I had a great run that morning and headed home prior to the cyclists’ return. 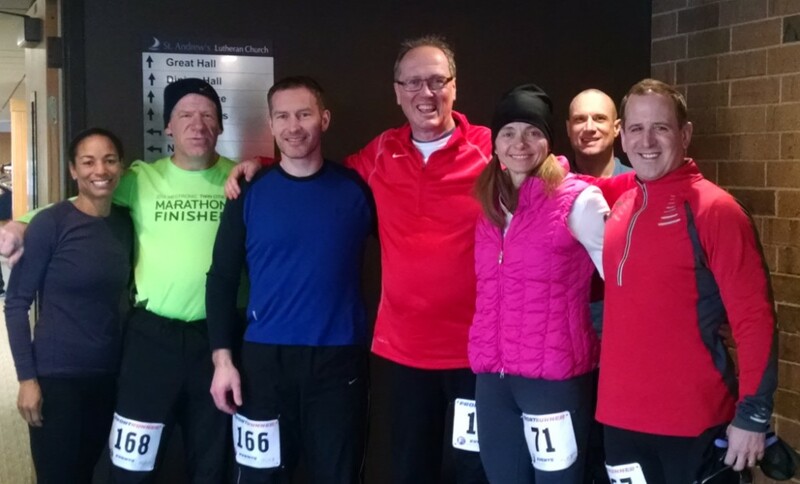 It had been a gorgeous Saturday morning and, after my initial outburst, I was grateful for having a great group of runners to challenge and encourage me. Later that afternoon, Tim called me to tell me some bad news. During the ride, Shannon had taken a fall. Fortunately she had a good bike helmet that had protected her head. Still she had to go the ER where she discovered that she had broken her collarbone. I texted Shannon that I would be praying for her quick and full recovery. She texted back that she appreciated the prayers, she was doing all right but that she owed me a shirt, since they had to cut off her jersey and my shirt in the ER. When I read the text, two thoughts in quick succession flashed into my mind. This entry was posted in Physical Exercise, Running, Uncategorized and tagged anger, bicycling, generosity, Matthew 25 on March 15, 2016 by Pastor John Keller. I invested part of my day with twenty youth and adults from Resurrection feeding the hungry. 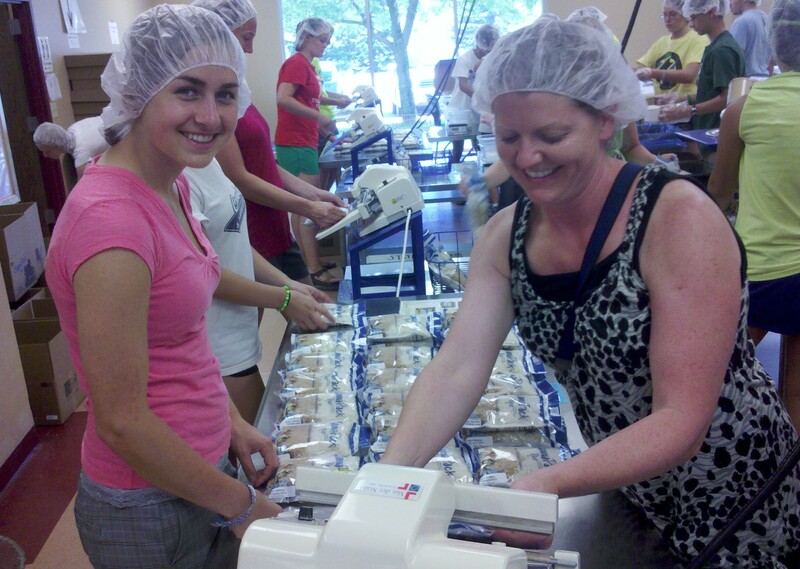 Under Sarah Storvick competent leadership, we traveled to Feed My Starving Children’s warehouse to assemble meals. After donning our hair nets, we poured soy, rice, dried vegetables and chicken/vitamin powder into sturdy plastic bags that are shipped all around the world to children in poverty. Each bag can feed six children a one cup meal. 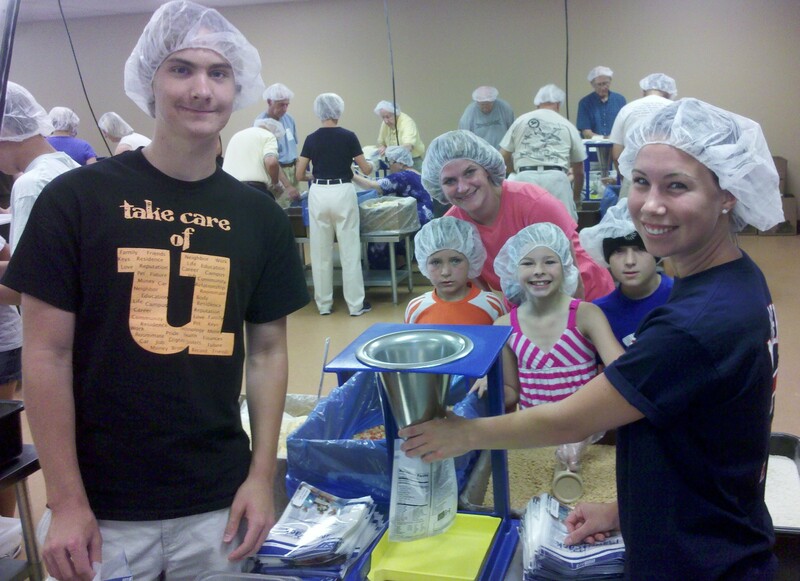 We assembled over 3,600 meal bags during our two-hour shift. What I so appreciate about Feed My Starving Children is how it takes a global problem like children’s hunger and breaks it into simple yet significant steps of Christian compassion. We had a number of children and youth working today and they were able to serve others in a global way. It made hunger real and Christian service significant. Feed My Starving Children is not the whole or final answer to world hunger. Leaders and families in distant lands will need to find ways to feed their children in a more comprehensive and lasting ways. But it is still a significant way to reach many malnourished and starving children while making American Christians more aware of the needs of their brothers and sisters in Christ. In what ways have you served Jesus or his people in the past week? Lord Jesus, make me mindful of how my hands, feet, voice and wallet can be used for your kingdom this week. I seek to do your will. This entry was posted in Bible, Jesus, love, service, Uncategorized and tagged Feed my starving Children, Matthew 25, Proverbs 22, world hunger on July 20, 2011 by Pastor John Keller.